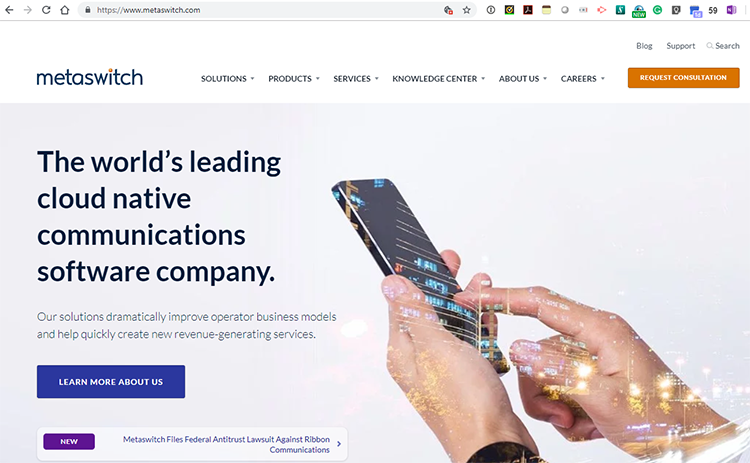 Metaswitch Networks has filed an antitrust lawsuit against Ribbon Communications alleging that the company is illegally using its dominant market position to hurt competition. Metaswitch notes that it is Ribbon’s only significant remaining competitor in the U.S. and Canada that competes to transform and modernize rural land-line telephone networks for the use of VoIP. The lawsuit alleges that Ribbon has aggressively consolidated the industry through serial acquisitions and is illegally using exclusionary and deceptive tactics to eliminate its last major competitor in the market. Specifically, the complaint alleges that after Metaswitch refused to be acquired by Ribbon in 2013, Ribbon launched an anticompetitive campaign to “kill Metaswitch”, including by asserting certain intellectual property rights in bad faith and in contravention of royalty-free licensing obligations, systematically maligning Metaswitch to customers with false and misleading information, and coercing customers to choose Ribbon instead of Metaswitch with anticompetitive pricing practices, among other things. The U.S. Department of Justice will appeal the decision by U.S. District Court in Washington, D.C. in the case involving the merger of AT&T and Time Warner. On June 12th, U.S. federal judge Richard Leon ruled in favor of AT&T in the lawsuit brought by the Department of Justice to block its acquisition of Time Warner. 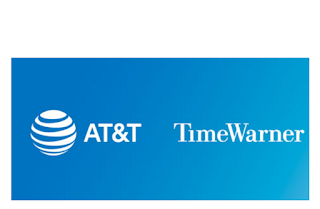 Since then, AT&T has consummated its acquisition of Time Warner. ZTE has appealed to the U.S. Commerce Department’s Bureau of Industry and Security (BIS) to lift the ban on the export of U.S. products to the company, according to a regulatory filing made by ZTE to the Hong Kong exchange. There is no word on whether the appeal will be heard or acted upon by BIS. Meanwhile, trading of ZTE's shares on the Hong Kong market remain suspended since April 16th. Chairman of ZTE says U.S. export ban is "unfair and unreasonable"
The Chairman of ZTE, Mr. Yin Yimin, issued a public statement acknowledging that the company is "in a very difficult situation," stating that his team is doing its utmost to solve this situation through active communication, and imploring the company's 80,000 employees to "be stable-minded and perform their respective duties." The public statement comes nine days after the U.S. Department of Commerce’s Bureau of Industry and Security (BIS) has imposed a denial of export privileges order against ZTE for false statements in the case of shipping restricted technologies to Iran and North Korea during a period of international sanctions. The order prohibits the export of any item from the United States to ZTE. 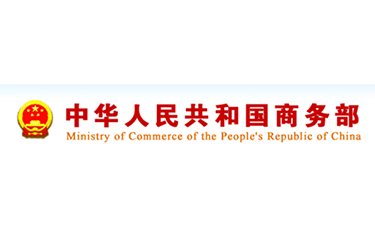 In his statement, Mr. Yin Yimin describes the decision made by the U.S. Department of Commerce as "unfair and unreasonable punishment" and that the U.S. side is making a trade issue into a political one. 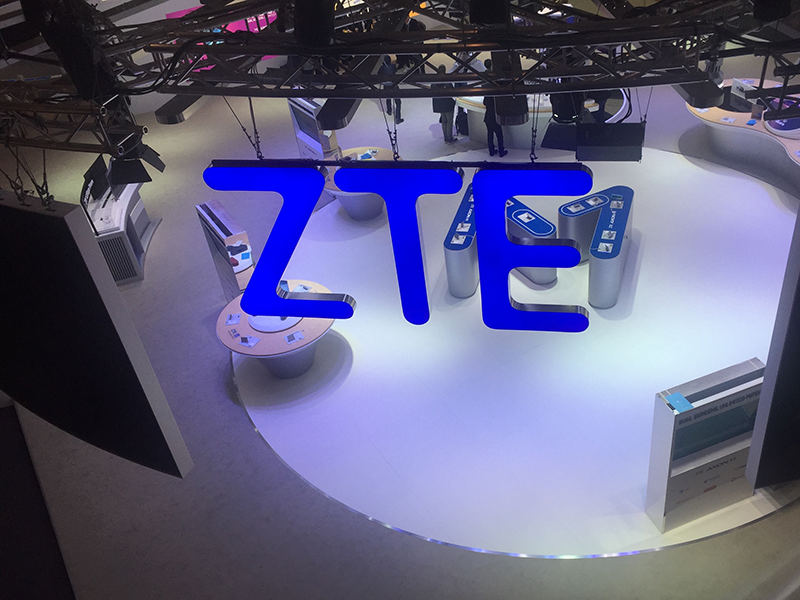 ZTE also noted that it owns over 69,000 global patents and that it has been a major contributor to global 5G standardization. "Certainly, we shall strengthen our technological investment to make us more competitive,” said Mr. Yin Yimin. ZTE has been insisting in the independent innovation of key technologies and extending its R&D investment. 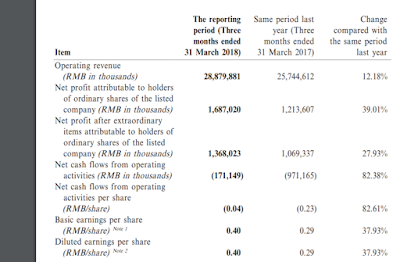 The company’s R&D expenditure was RMB 12.96 billion in 2017, covering 11.9 % of its revenue. 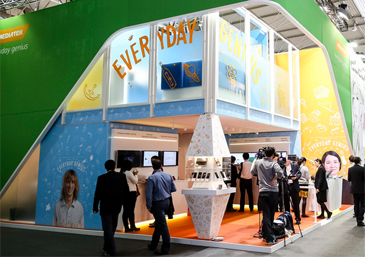 ZTE has been continuously extending its investment in 5G R&D and related fields. To date, ZTE has formed a 5G R&D team with more than 4,500 professionals and annually invested around RMB 3 billion in 5G wireless R&D." 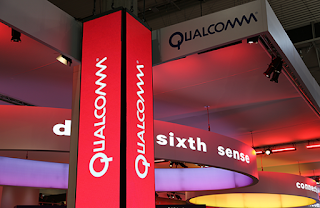 China's Ministry of Commerce is expressing market consolidation concerns over Qualcomm's pending acquisition of NXP Semiconductor and its operations in China. 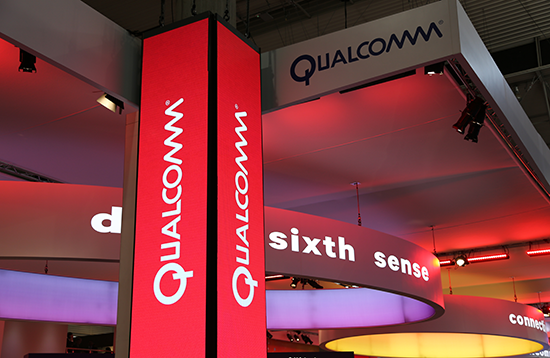 The Ministry will require Qualcomm to resubmit its antitrust application with additional information. NXP Semiconductors N.V., which headquartered in Eindhoven, Netherlands, employs approximately 45,000 people in more than 35 countries and is known for its mixed-signal semiconductor electronics. The company was known as Philips Semiconductor prior to 2006. Key markets include automotive, broad-based microcontrollers, secure identification, network processing and RF power. NXP has a broad customer base, serving more than 25,000 customers through its direct sales channel and global network of distribution channel partners. The U.S. Department of Commerce’s Bureau of Industry and Security (BIS) has imposed a denial of export privileges against Zhongxing Telecommunications Equipment Corporation (ZTE) of China. The ban prohibits companies or individuals from participating in any way in an export transaction with ZTE. The order prohibits "Carrying on negotiations concerning, or ordering, buying, receiving, using, selling, delivering, storing, disposing of, forwarding, transporting, financing, or otherwise servicing in any way, any transaction involving any item exported or to be exported from the United States that is subject to the Regulations." “ZTE made false statements to the U.S. Government when they were originally caught and put on the Entity List, made false statements during the reprieve it was given, and made false statements again during its probation... 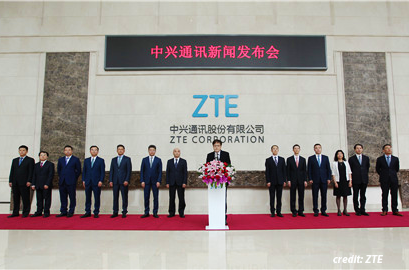 Instead of reprimanding ZTE staff and senior management, ZTE rewarded them. This egregious behavior cannot be ignored,” said Secretary of Commerce Ross. In a press statement, ZTE said it is aware of the denial order activated by the United States Department of Commerce and that it is currently assessing the full range of potential implications. The U.S. Department of Commerce has added ZTE to the list of entities involved in "activities contrary to the national security or foreign policy interests of the United States." The move could block U.S. semiconductor companies from selling to ZTE, potentially impacting a wide range of networking gear and mobile devices. ZTE said it is working expeditiously towards resolution of this issue and that it is fully committed to compliance with the laws and regulations of the jurisdictions in which it operates. The FBI has opened a criminal investigation into whether ZTE shipped U.S.-made networking components and surveillance equipment to Iran. According to various news sources, including Reuters, The Washington Post and The Smoking Gun, various documents have emerged, including a shipping manifest, related to a $130 million sales contract between ZTE and the Telecommunications Company of Iran. Equipment reportedly includes systems from Cisco, Dell, Hewlett-Packard, Juniper, Microsoft, Oracle and Symantec. 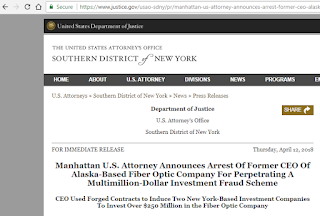 Elizabeth Ann Pierce, the former CEO of Quintillion, a telecommunications firm building a subsea and terrestrial fiber network in Alaska, has been arrested and charged with fraud by U.S. federal authorities. The allegations accuse Pierce with a scheme to use forged guaranteed revenue contracts to fraudulently induce investors to invest more than $250 million in the fiber optic cable network in Alaska. The faked documents reportedly assured that Quintillion would collect hundreds of millions of dollars in future revenue, but proved to be worthless. The fraudulent activity is said to have occurred between 2015 and 2017. 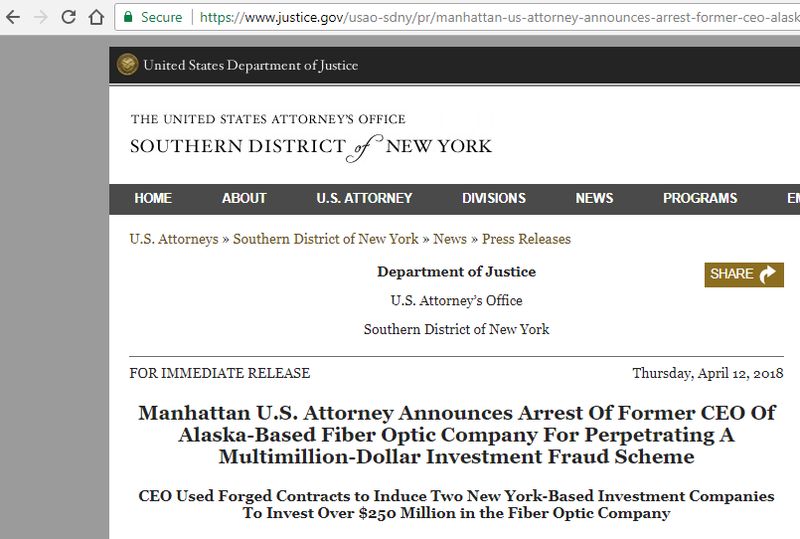 U.S. Attorney Geoffrey S. Berman said: "To realize her plan to build a fiber optic system that would service Alaska and connect it to the lower 48 states, Elizabeth Ann Pierce allegedly convinced two investment companies that she had secured signed contracts that would supposedly generate hundreds of millions of dollars in guaranteed future revenue from the system. As it turned out, those sales agreements were worthless because the customers had not signed them. Instead, as alleged, Pierce had forged counterparty signatures on contract after contract. As a result of Pierce’s deception, the investment companies were left with a system that is worth far less than Pierce had led them to believe." In a statement, Quintillion says it "self-reported" last year to the U.S Department of Justice when it became aware of the alleged actions and that it is cooperating with authorities. The company says the ongoing investigation has not impacted its network operations. An interim CEO, George Tronsrue III, was appointed last August when Pierce abruptly resigned. In December 2017, Quintillion announced the activation of commercial service on its new subsea fiber optic cable system serving five northern Alaska communities: Utqiaġvik, Wainwright, Point Hope, Nome, and Kotzebue. Installation of the Alaska Arctic portion of the international Quintillion Subsea Cable System was completed in early October. 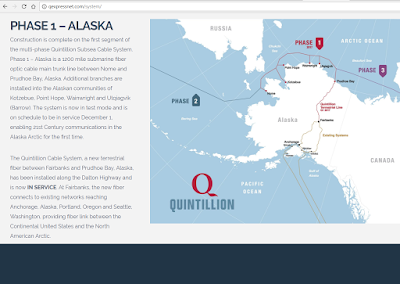 Quintillion’s subsea and terrestrial fiber optic network spans 1,400 miles, including a subsea trunk line from Prudhoe Bay to Nome with branching lines to the five communities. Quintillion is aiming to extend its Arctic subsea cable system westwards to Asia (phase 2) and then eastwards to Europe (phase 3). In July 2015, Quintillion Subsea Holdings awarded a turnkey contract to Alcatel-Lucent for the design and construction of a submarine cable system in Alaska from Prudhoe Bay to Nome. Qualcomm reported that it has been informed by Apple that Apple is withholding payments to its contract manufacturers for the royalties those contract manufacturers owe under their licenses with Qualcomm for sales during the quarter ended March 31, 2017. 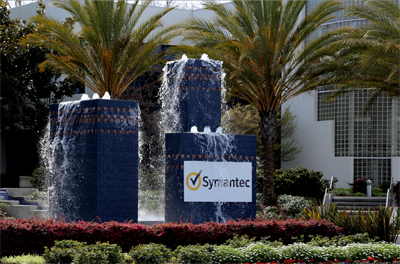 Symantec has filed a patent infringement lawsuit against Zscaler, asserting violation of seven Symantec patents across a variety of network security technologies including web security, data loss prevention, threat prevention, access control and antivirus techniques. This lawsuit is based on U.S. Patent Nos. 6,279,113; 7,203,959; 7,246,227; 7,392,543; 7,735,116; 8,181,036; and 8,661,498. 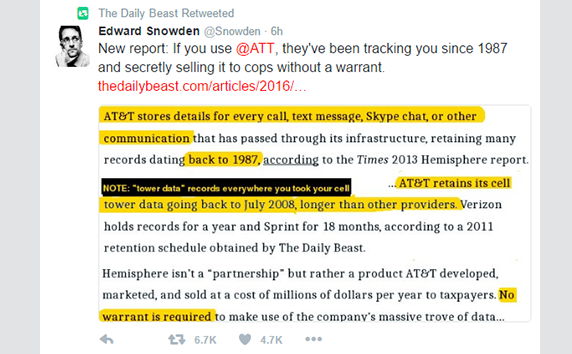 The Daily Beast published details on "Hemisphere," a secret program run by AT&T to provide law enforcement agencies with location data gleaned from trillions of call records. The searches are performed by AT&T without legal warrants but with administrative subpoena, according to the report, as a product for the law enforcement agencies. 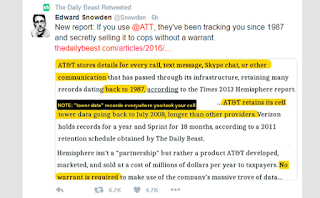 The Daily Beast article also says alleges that the Hemisphere has grown to become a very lucrative operation for AT&T. In a blog posting, Cisco's Mark Chandler confirmed that the office of the U.S. Trade Representative has stated that the International Trade Commission’s import ban and cease and desist order covering all Arista products that infringed three core Cisco patents is now in effect. In the statement, Chandler said Cisco is prepared to bring an enforcement action if Arista violates the ban and continues to sell or support infringing products. Cisco has prevailed in a long-running patent dispute with Arista (the '944 case). On Thursday, the International Trade Commission issued a Final Determination that Arista’s products infringe three Cisco patents. Two of the patents cover Cisco’s private VLAN network security technology which Arista included in its switches. The third covers Cisco’s proprietary core SysDB technology. Additional court ruling are expected in the coming months for a different group of patents covered by a second ITC investigation (the ‘945 Investigation). A further trial covering patent and copyright infringement is expected in November. In a blog post, Mark Chandler, General Counsel at Cisco, writes the ITC remedies include an exclusion order, which would ban all Arista switches and their components from importation into the U.S., and a cease and desist order blocking them from building infringing products in the US that are comprised of any imported components. Arista has as much as acknowledged the infringement of the Private VLAN patents, announcing that they will discontinue the private VLAN feature “for now,” belying their claim that they had developed workarounds. The remedies also include a cease and desist order prohibiting the marketing, sale, and distribution of infringing Arista switches in the U.S. These orders are scheduled to go into effect at the end of the Presidential Review Period on August 23, 2016. Arista made much of the fact that it had challenged the validity of Cisco’s patents. Arista did not challenge the validity of the Private VLAN patents, however, and the Patent and Trademark Office declined to institute review proceedings on six claims in the SysDB patent which the ITC found infringed. For its part, Arista noted that the ITC ruled in its favor with respect to two of the five patents under investigation (U.S. Patent Nos. 7,290,164 and 7,340,597), finding that two accused Arista features do not infringe the asserted claims. Arista previously announced that it has released a new version of its EOS software containing design-arounds that it believes address the ITC’s findings with respect to the features implicated in the Final Determination. Arista said it intends to seek appropriate regulatory approvals for these design-arounds. The International Trade Commission (ITC) issued an initial determination in a patent infringement case brought by Cisco against Arista Networks. The ruling found that Arista violated three of Cisco's patents: U.S. Patent 7,162,537 (“[E]xternally Managing Router Configuration Data … With A Centralized Database”) (Sysdb) and U.S. Patent Nos. 6,741,592 and 7,200,145 (Private VLANs). Cisco said the ruling foreshadows an exclusion order banning imports of all Arista switches (implemented after confirmation by the full Commission). Arista Networks noted that the ruling found that it did not infringe two of five patents being asserted in this case, thus clearing two of the four accused features in its EOS. Arista said it also intends to fully address the infringement allegations with a new release of EOS available for software download in Q2 2016. “Our primary focus is the continued supply of products to our customers. We respect the administrative process and the tireless work of the ALJ in this preliminary decision. We strongly believe that we have not infringed any of the patents in the investigation and look forward to the final determination of the full commission in June 2016,” said Marc Taxay, Vice President, General Counsel of Arista Networks. 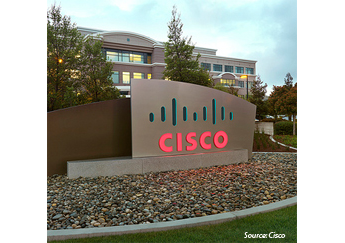 Cisco filed the ITC complaint against Arista on December 19, 2014. Polaris Wireless, which provides high-accuracy, software-based wireless location solutions, prevailed in a patent dispute filed by TruePosition. 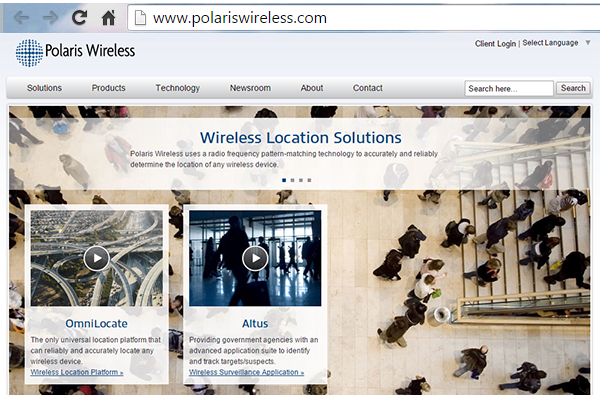 The United States Court of Appeals for the Federal Circuit in Washington D.C. affirmed Polaris’ wins at the USPTO (United States Patent and Trademark Office) and District Court. All asserted claims were found to be invalid. The complaint was brought by TruePosition in 2012. Ericsson and Apple have signed off on a global patent license agreement, ending a long-running legal dispute in multiple jurisdictions and a case before the U.S. International Trade Commission.. As part of a seven-year agreement, Apple will make an initial payment to Ericsson and, thereafter, will pay on-going royalties. Financial terms were not disclosed. The deal includes a cross license that covers patents relating to both companies' standard-essential patents (including the GSM, UMTS and LTE cellular standards), and grants certain other patent rights. In addition, the agreement includes releases that resolve all pending patent-infringement litigation between the companies. 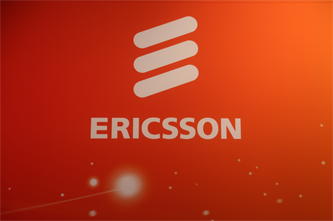 Ericsson did note that the positive effects from the settlement, and alongside the ongoing IPR business with all other licensees, will bring its estimated IPR revenues will amount to SEK 13-14 b. "We are pleased with this new agreement with Apple, which clears the way for both companies to continue to focus on bringing new technology to the global market, and opens up for more joint business opportunities in the future," said Kasim Alfalahi, Chief Intellectual Property Officer at Ericsson. Google and SAP have entered into a long-term patent cross licensing agreement that covers a broad range of products and technologies. 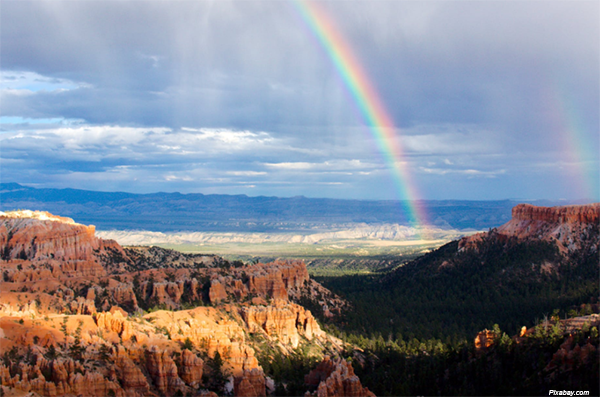 Both companies joined the LOT Network in 2014, a community-based patent-licensing agreement designed to reduce for its members patent troll litigation and the growing practice of patent privateering. The U.S. Court of Appeals for the Federal Circuit sitting en banc held that Limelight Networks is liable for direct infringement of a content delivery patent asserted by Akamai Technologies. In 2008, a jury had returned a verdict that Limelight was infringing the patent and awarded Akamai over $45 million in damages. The ruling reinstates liability for infringement, which had been overturned in a post-trial ruling that has been the subject of appellate proceedings since. "We are extremely pleased with The Federal Circuit's decision," said Aaron Ahola, Deputy General Counsel at Akamai. "Akamai is at the forefront of innovation on the Internet and today's ruling recognizes the strength of our intellectual property. We believe strongly that a company's intellectual property is a vital asset which must be defended to protect shareholder value. "